Your author blog can be an important, and effective, book marketing tool. But I've seen countless authors complain that blogging isn't worth their time, only to discover that they're going about it in the wrong way. One of the biggest issues I've seen is that authors aren't targeting the right readers with their blogs. And if you don't reach the right audience, it should be no surprise that your blog isn't leading to more book sales. 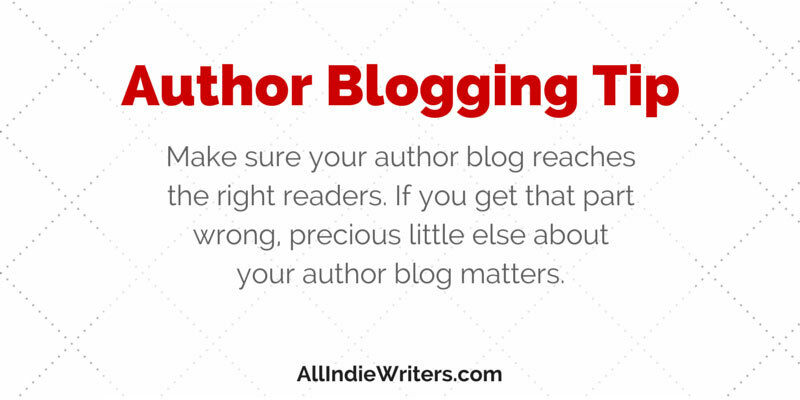 So here's this week's quick tip for indie authors: Make sure your author blog reaches the right readers. If you get that part wrong, precious little else about your author blog matters. Who Should Your Author Blog Target? The key in identifying the target readers of your blog is identifying the target readers of your books. The most common mistake I see on this front is that authors seem to target other authors with their blogs rather than their book's readers. There's nothing wrong with blogging for other writers, and it can be an effective form of networking. But it doesn't necessarily belong on your author blog (unless, of course, you're publishing books for other writers). In most cases, your ideal blog readers are the people who will read your books. But there are exceptions. For example, if you write for young children, your author blog would probably need to target parents, and possibly educators. You could have features on the site for children to interact with, in the hopes that parents would direct them there. But the main content, in most cases, wouldn't be written for them. So perhaps a better way to think of your blog's target audience is in terms of who is likely to buy your books rather than read them. That might mean parents and teachers. Or it might mean gift-givers. Or it might mean corporate executives who buy books in bulk for staff training. The best way to increase sales using your author blog is to attract and build relationships with the people most likely to give you those sales. Does your author blog do that? Leave a comment and tell me about your author blog, the books you promote there, and how your blogging has impacted book sales. Are you an author of fiction who isn't sure what to write about on your author blog? 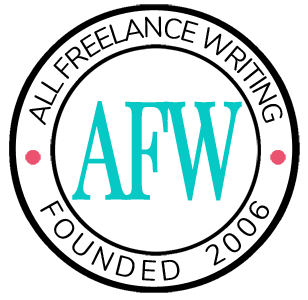 Sign up for the All Freelance Writing newsletter to get a copy of my free report, 21 Author Blog Post Ideas to Promote Your Fiction. Thanks Joe. I think you hit on some good considerations. I wouldn’t be surprised at all if authors gravitate to other authors for the sake of bonding. This is a lonely job we take on. One thing that’s important for authors to remember is that they can always have multiple blogs if they want to target completely different audiences. They could even set that up on their author site, with posts in two distinct sections — one to network with writers and one to focus on readers (though I’d recommend prioritizing the latter). These days many authors sell products for other writers though, so two blogs might be exactly what they need. I really love blogging most of the time and often use it as a way to work through things I want to learn and understand. But I realize after reading your post that I need to remain focused on my overall goal and that’s connecting with readers and potential book buyers. I do have a lot of posts offering tips for parents of picky eaters, and some tips on managing emotions, the topics of two of my children’s books. But hopefully as more of my books make it into print I can broaden my topics and offer interesting tidbits connected to my books. I have several magazine articles for kids out, do you think it would be useful to talk about those articles, too? Or are they less useful for blog posts than books? If your primary buyers are parents, and if the tips are related to your books, I don’t see anything wrong with sharing them on your blog. Just make sure each of those posts contains a clear call to action. They should be pointing parents back to your books. Point out that your books help kids understand these concepts in a fun, easily-digestible way for example, then tell parents how they can get a copy. I think your author website should definitely mention the magazine articles if they’re related to topics covered in your books. I’d put them (or link to them) in a media kit or newsroom, and then put up a short news blurb blog post when you publish new ones, announcing each of them and again tying them to your books with a call to action.